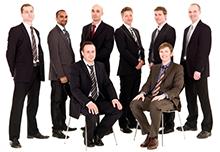 Welcome to Balwinder Associates, CA – Chartered Accountants. We specialize in the areas of Taxation, Direct & Indirect Audits, Project Management, Management Consultancy, Service Tax, Financial Investigations, Backend Accounting Services, KPO’s & BPO’s, Project Financing, Certification, Copyright & Trademark, Transfer Pricing and Wealth Management Consultancy Services. At Balwinder Associates, we believe in the philosophy of timely and effective solutions for our clients. Our accounting e-Solutions, virtual accounts office solutions and TOAM (Total Online Account Management) solutions are some of the firsts in the industry!